We are pleased to announce that a new associate has joined the Equality in Tourism network. Carla Ricaurte Quijano is an Associate Professor in Tourism at the Escuela Superior Politécnica del Litoral (ESPOL) in Guayaquil, Ecuador. She has worked as a tourism-planning consultant for the Ministry of Tourism, various local authorities and NGOs in her country, and worked on the formulation of the National Strategic Plan for Sustainable Tourism Development. Growing up in a small tourist destination on the Ecuadorian coast, Carle felt the estrangement of being a resident amidst spaces and social practices conceived for visitors early on. Her research interests reflect upon these settings, as well as the particular dynamics of tourism that can lead to social transformation. 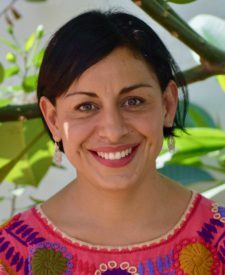 She obtained her Master’s degree from the Universidad Autónoma del Estado de México, Mexico, where she was part of the editorial team at El Periplo Sustentable, a renowned journal on tourism sustainability in Latin America. Later, she obtained her PhD from the Centre for Tourism Policy Studies at the University of Brighton. While in the UK she participated in the Brighton Complex Systems Knowledge Exchange Project, which sought to explore solutions that theory might bring to everyday policy problems through a dialogue between academics and practitioners from the public and voluntary sectors. One of Carla’s research interests relates to the role of agency and self-organisation as instruments for socio-political change in tourism governance, with a special emphasis on actor-led, non-linear and self-organised tourism planning interactions. More recently, she has started looking at the themes of gender and social inequality in tourism spaces, including women in tourism academia, women in the public tourism sphere and the informal tourism economy in beach destinations. She is currently leading the Coastal and Marine Tourism Research Group at ESPOL.